Grimm Boss recently had a successful Kickstarter campaign to develop Dragon Fin Soup. They would wind up meeting the PS Vita stretch goal as well for the campaign. The only question that remained was who would port the RPG over to the PS Vita. That questioned has been answered today, and to our delight the port will be handled by PS Vita veterans "BlitWorks." BlitWorks has handled many great titles that have appeared on the PS Vita in recent years. These games include Fez, Spelunky, OlliOlli, Don't Starve, Age of Zombies, and Jet Set Radio. BlitWorks are clearly seasoned veterans at working on the PS Vita, because despite inital OlliOlli problems most of these games released without a problem at all. 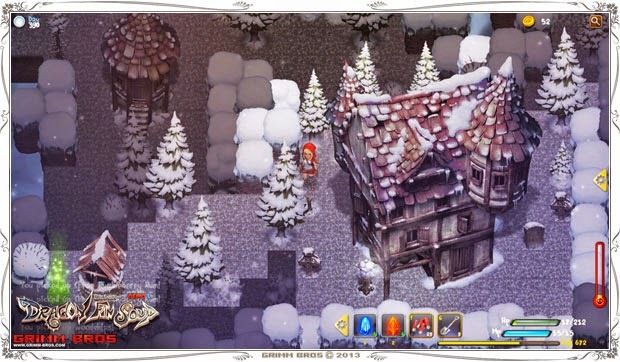 Just as a quick reminder "Dragon Fin Soup" is described as an RPG with many roguelike elements. Players can expect to craft, fish, hunt, and so much more in this well rounded RPG. The release date is still listed as unknown, but could very likely be expected in early 2015.